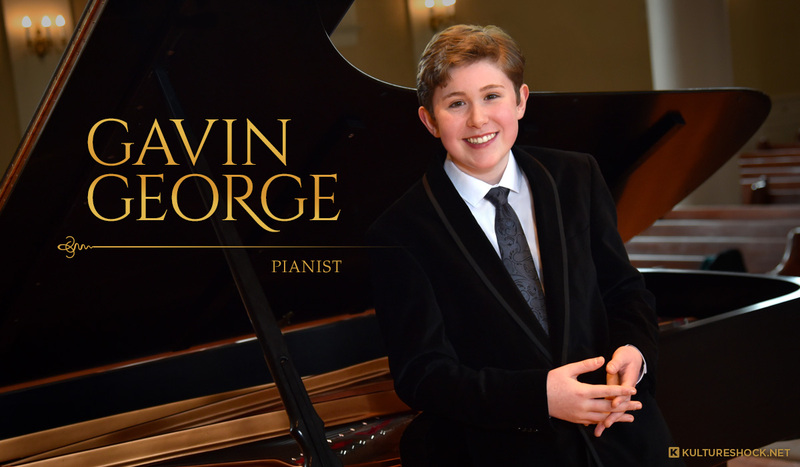 Just twelve years old, Gavin George made his concerto debut at the age of seven and has since been featured on the CBS Early Show, won a gold medal at the American Association for the Development of the Gifted and Talented International Piano Competition – two years in a row! – was awarded a full scholarship to study and perform at Luxembourg’s Vianden Music Festival, and has already performed at Carnegie Hall several times. If that weren’t impressive enough, he’s also performed in many other top concert halls around the world in recital or in concerto performances. There is no doubt that Gavin is a true child prodigy. Earl Blackburn at Opus 3 Artists in New York, one of the leading classical management agencies in the world, recognized Gavin’s talent early on and now manages his burgeoning career. He also recommended Kulture Shock for his first professional website. Kulture Shock worked closely with Gavin and his mom, Mary George, to develop a custom-designed website. 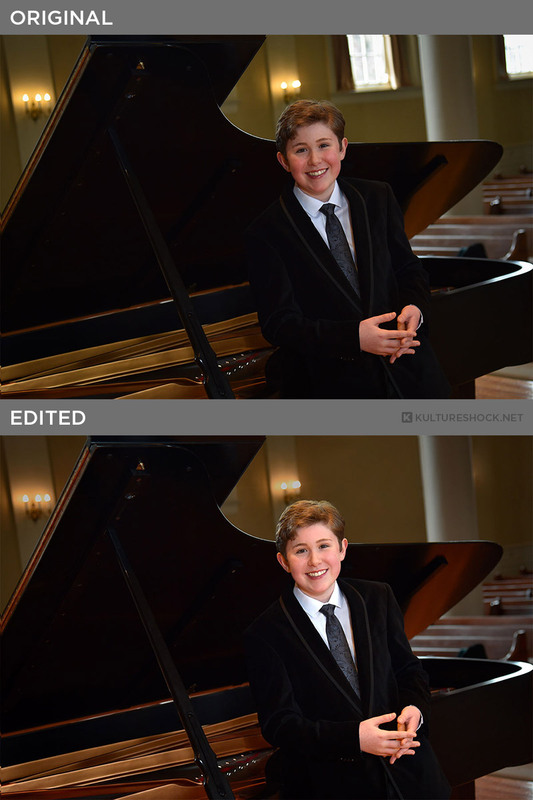 The photograph selected for Gavin’s homepage needed a little Photoshop magic. We reduced the shadows on Gavin’s face, smoothed out his white shirt, and removed the two distracting windows from the wall behind him. The result is a much stronger homepage image for his new website. It’s not often that we get the chance to design a website for such a talented young musician, so we’re thrilled to announce the launch of Gavin’s first website!